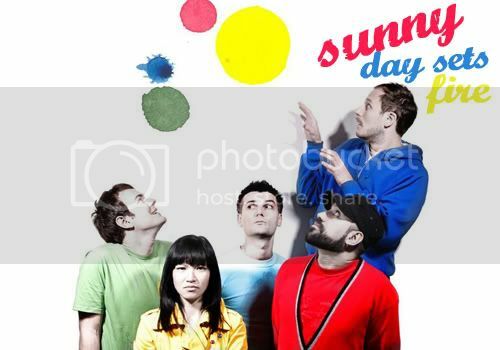 Sunny Day Sets Fire is a psych-pop quintet that’s based in London, by way of Italy, Hong Kong, and Canada. Their music aesthetic can clearly be traced back to 60s summery pop jangles similar to the Monkees, with certain high notes recalling uncanny vocal equivalence to Kevin Barnes from Of Montreal. 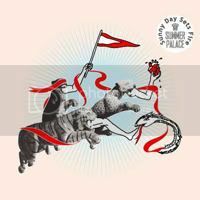 Their 2008 debut, Summer Palace conveys just that; psychedelic pop tunes with generous servings of glittery glockenspiels and power-pop guitar. All pop talk aside, it’s the spare and pristine, and more restrained instrumentation in ‘Lack of View’ that really has me falling for the band. It’s a subtle touch and much needed slice of melancholia from the London quintet-- absolutely love.